There was no way I could go to London without getting some Christmas tree decorations. 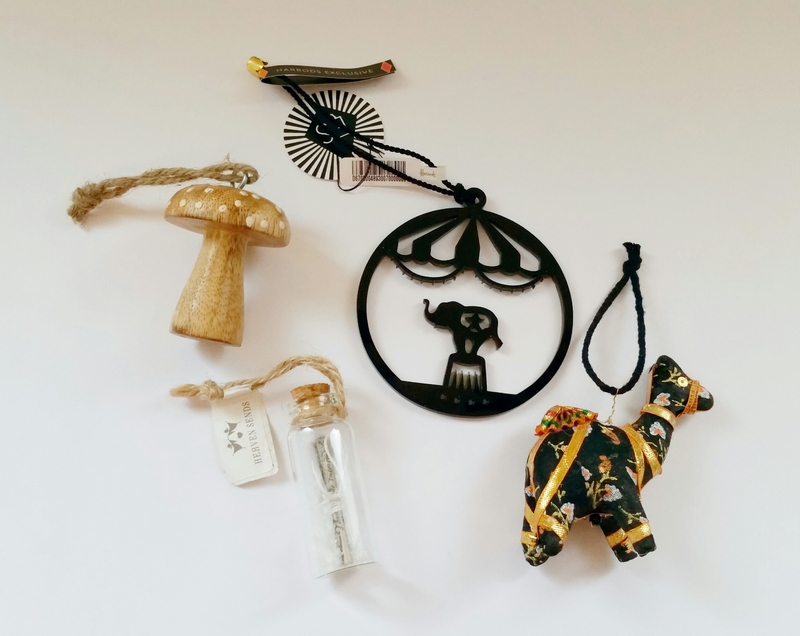 I’ve decided to start a fresh with regards to decorations this year and put together a little collection of decorations in London as my starting point. The little mushroom is from Sass & Belle in Covent Garden, the little bottle is from Selfridges. The cut acrylic circus style decoration is from the Harrods Christmas store in Covent Garden, it’s designed by Eleanor Stuart and is exclusive to Harrods…. and the cute little camel is from Camden Market and I added a string loop to it. I can’t seem to go on any trip without getting some new paper. 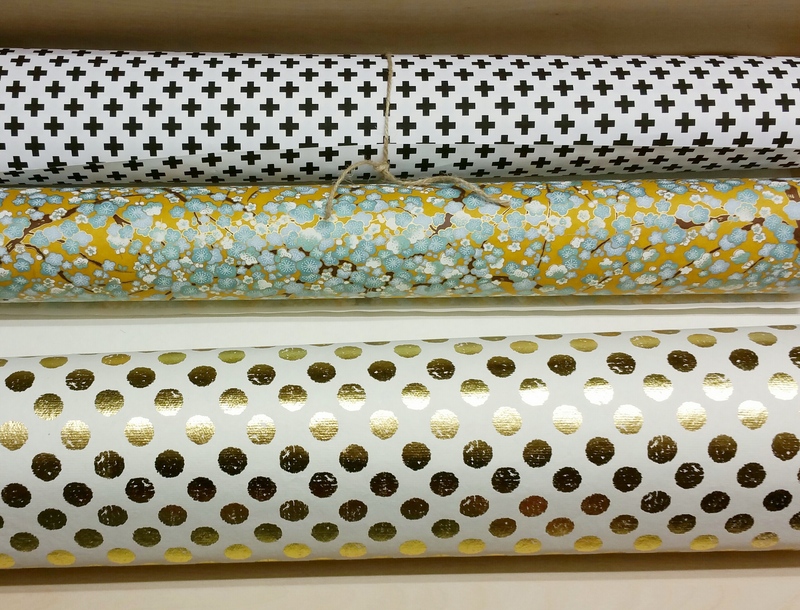 Of course I had to get the gold foil polka dot paper… it’s from Selfridges and it a lovely heavy weight handmade paper. The plus sign print paper is also from Selfridges, from Abigail Warner, who offers personalised gift wrap and cards.